Want it by Wednesday 24th April? Order within 4 days, 21 hours, 34 minutes and choose Next Working Day - Kerbside Delivery (Order Must be Placed by 2pm) at checkout. 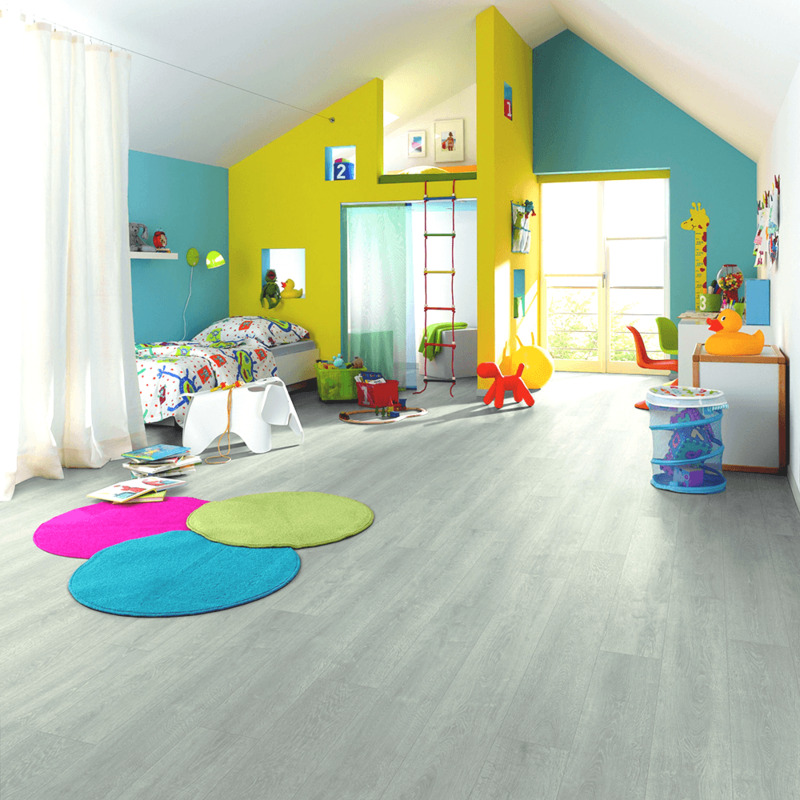 Horizon Jersey Grey Oak is an 8mm board with a width of 192mm by 1292mm long. Each pack contains 1.99 square metres. With its smokey grey oak tones, this grey wood effect flooring is perfect to suit any interior, however most notably for traditional or classic interiors. With the board's décor reaching the full length and width of every board, this give the illusion of a wide plank. This light grey laminate flooring would be the perfect finish to any bedroom, hallway or living room area. Received the free sample very quickly in a well packaged box.After ordering other samples from all different companies,decided the Horizon Jersey oak matched our decor the best and seemed to be of a decent quality.We have now put in a full order for delivery next week.The delivery charges were reasonable and also will come with 2 free rolls of underlay.